The HBO epic, fantasy TV series Game Of Thrones is a worldwide viewing sensation, political and sexual intrigue amongst a group of seven noble families all struggling for control of the mythical land of Westeros. Grammy nominee Ramin Djawadi’s score for the series is integral to the fabric of the show with choir and orchestra counter-balanced by percussion and rhythmically driven sounds from the world music arena. His creative use of sound effects also adds mystery and allure. Djawadi is currently one of the most prolific and outstanding composers working in Hollywood. Covering film, TV and games his CV includes Iron Man, Prison Break, Medal Of Honor, Clash Of The Titans, Person Of Interest and the forthcoming Pacific Rim. 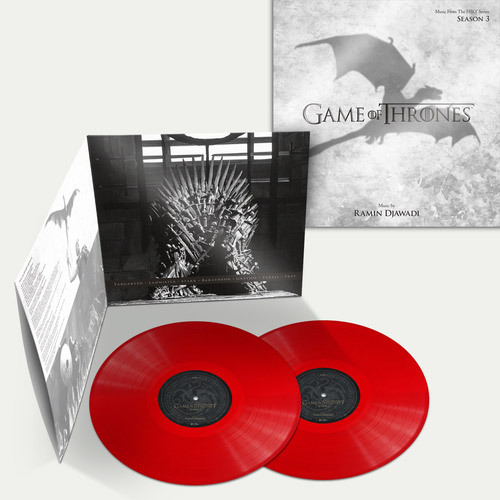 This third collection of music from the series offers fans three different versions of the Game Of Thrones theme – two of them previously unreleased. 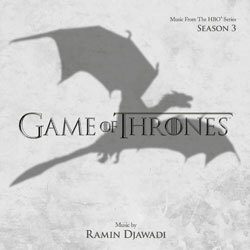 “Dark Wings, Dark Words” is a downtempo choir version whilst “For The Realm” is a solo guitar version performed by Djawadi himself. Additional music includes “It’s Always Summer Under The Sea (Shireen’s Song)” performed by Kerry Ingram who plays Shireen in the show along with “The Bear And The Maiden Fair” sung by US indie rock band The Hold Steady.